You’ve tried every drag and drop page builder on the market and none of them live up to your expectations? Unfortunately, we hear this quite a bit from developers, mainly because the infant page builder technology is still finding its way through the hectic marketplace. I would argue that Visual Composer is the most popular, at least with ThemeForest themes. On the other hand, Beaver Builder provides an intuitive interface, but the standard plan doesn’t give you any themes, and the pricing seems a little high. But then we have the Divi Builder. Now with both a theme and plugin version, we’re starting to see what developers have in mind when talking about a drag and drop solution that’s both fast and useful for all types of designers. Although I would recommend checking out the new Divi Builder plugin, it’s only available when you opt for the Divi theme. For those who would like to integrate the builder with a non-Elegant Themes template, we’re giving a complete review of the Divi Builder plugin. The new release doesn’t include any additional content modules. However, new users will be pleased to learn that several of the blocks help you improve the way your online store runs. For example, one of the modules is named “Shop,” allowing for beautiful product displays, buttons and payment processing solutions. The main problem I have with the Divi plugin is that the editing area doesn’t look or feel like your website. For example, if you’re constructing a page with contact information, all you’re seeing on the backend are a bunch of blocks with names referring to their functions. In short, you don’t receive the frontend editing that comes with the Divi 3.0 Theme. So, if you’re really interested in a beginner-friendly design environment, I would skip the plugin and go straight for the theme. However, the plugin’s content module count adds up to about 46, so you’re certainly not without the support you need when implementing anything from a portfolio to a login module. Let’s say you’re a developer who loads a few modules into a page and now you’re ready to save it. The only problem is that you’d also like to jump to a new page and utilize the exact same edited content modules somewhere else. Right clicking on a content module reveals various options for doing so. For example, copying and pasting an item is possible. However, the most powerful of all the duplication features comes in the form of the Library. This is where you can see all of your saved modules and even export them to other client websites. For example, you may have a clean email signup form that would take awhile if starting from scratch on each site. There’s no need to worry, since the Library saves the modules and layouts you enjoy, and the import/export area transfers them to other places. A duplicated content module doesn’t remain the same from page to page or site to site. So if you copy and paste an email signup form from your homepage to a Contact page, making an edit to one of them only reflects that change on the one you chose. But sometimes you’ll want the change to be affected on a global scale; that is, across every single content module you previously copied. Therefore, you can mark some modules as “Global,” so when you adjust a color on one signup form, it’s modified on every signup form. 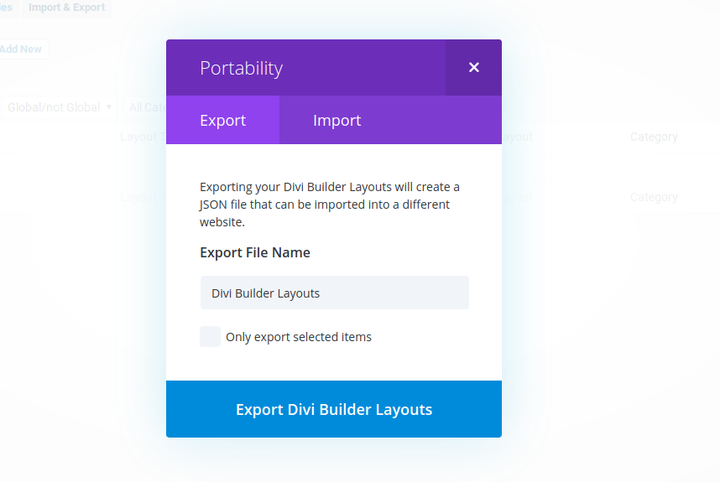 I know we hear this from all drag and drop builder developers, but it’s generally true: You can make an unlimited number of layouts with Divi. With three section types, 20 row types and 46 content modules, Divi does a solid job of bringing versatility to your site. Possibilities include simple business information sites, landing pages, beautiful blog layouts and eCommerce stores with hundreds of products. 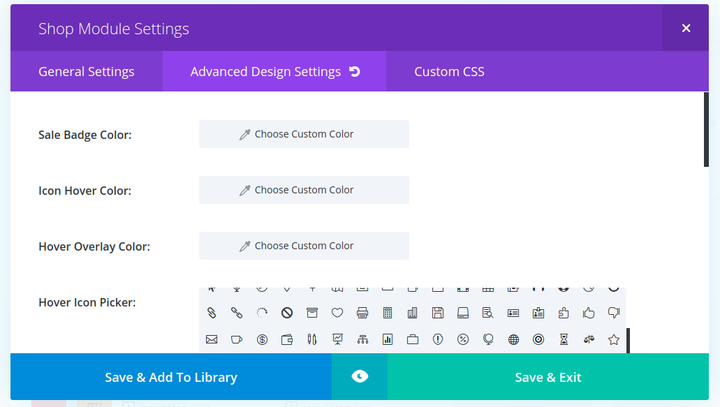 Although beginners have decent tools for developing a site with the Divi plugin, I’d argue that the advanced design settings and custom CSS items are far more impressive. With many themes it’s difficult to find the areas to punch in custom CSS, but each content module has its own popup. For example, the Shop module brings up custom CSS boxes for things like price and old price. 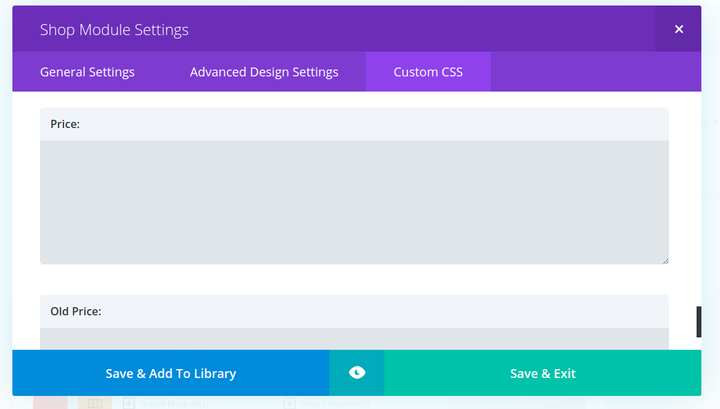 You can also get in there to adjust more site-wide settings like custom CSS, colors and more. Not into coding? The advanced design settings might be more your style. The screenshots below offer a taste of the advanced settings for the Shop module. Change icons, adjust their colors and scroll down to find dozens of other quick modification settings for your own branding and design goals. The Shop content module is still one of the simplest to manage for an online store. 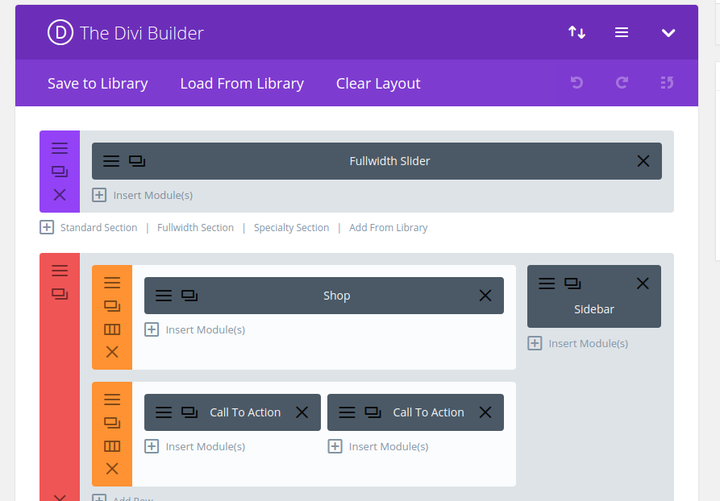 Accessing the Divi Builder in the WordPress editor only requires one click of the button. 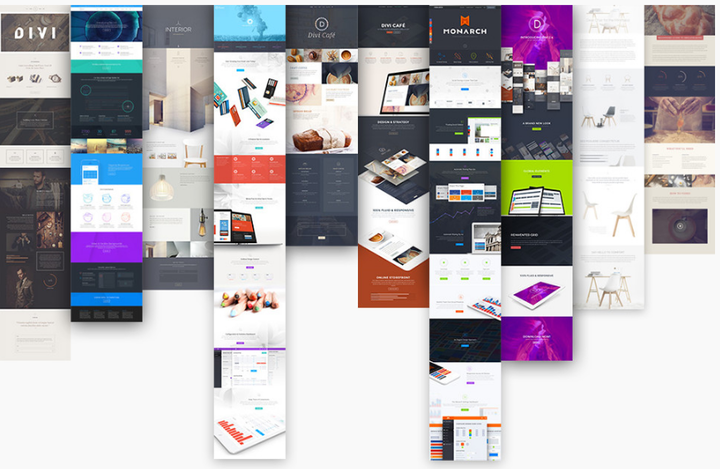 All of the wonderful Divi content modules are still wrapped up into a nice little package. Copying, pasting and saving layouts is helpful for developers with multiple clients. Heck, Divi even lets you lock content elements so clients don’t mess with them. A Global Sync feature keeps designated content modules looking the same throughout pages and websites. Click the Undo or Redo buttons as much as you want. You still have to signup for a membership to access the Divi Builder plugin. 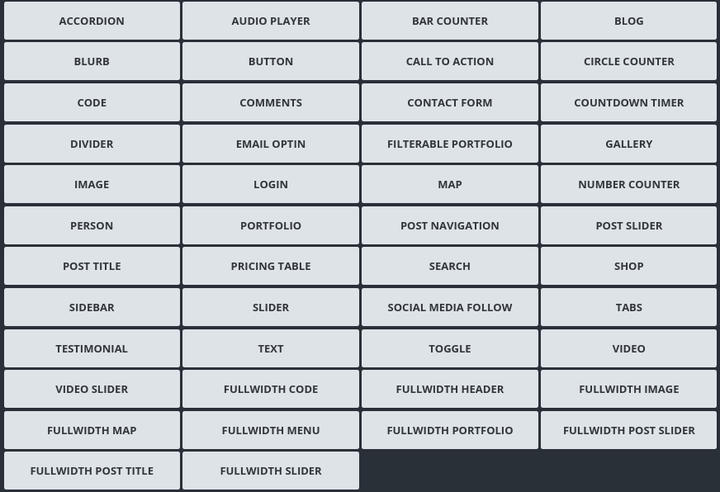 The Divi plugin doesn’t have frontend editing, so you’re stuck with editing on an ambiguous grid, as opposed to moving around the actual items on your site. Shortcodes are left behind if you disable the Divi Builder plugin. Accessing the Settings area for each website module still seems a little fidgety. The Elegant Themes pricing model is a little different than your standard theme company. They don’t sell individual themes or plugins, so you must signup for a membership to gain access to all of the library items. However, the Personal plan only costs you $69 per year, which is close to the price of an individual theme elsewhere. We like it for developers or companies that plan on implementing multiple themes, since you can select a yearly plan or pay a one-time fee for lifetime access. Developer – $89 per year for everything in the previous plan, complete access to all plugins and layered Photoshop files. Lifetime Access – A $249 one time fee for all the features in the Developer plan. Although not much has changed in terms of Elegant Themes support over the past few years, I feel it’s nice to look at the support offerings, especially if you’re a new user considering Elegant Themes. Each Elegant Themes member receives access to a member’s area, with a full forum to talk with other users and some documentation for each of the themes, plugins and, of course, the Divi Builder. You can submit general support questions if a solution doesn’t show up in the knowledge base or forum. It’s also worth mentioning that the Elegant Themes blog provides some of the best WordPress content on the market. If you’re looking to sharpen your WordPress, marketing or web design skills, I recommend following the company on Facebook or Twitter to get updates from the blog. Along with an FAQ and a place to submit a quick email, Elegant Themes treats its members right. When going with the plugin I still think more intermediate developers are going to find Divi most useful. 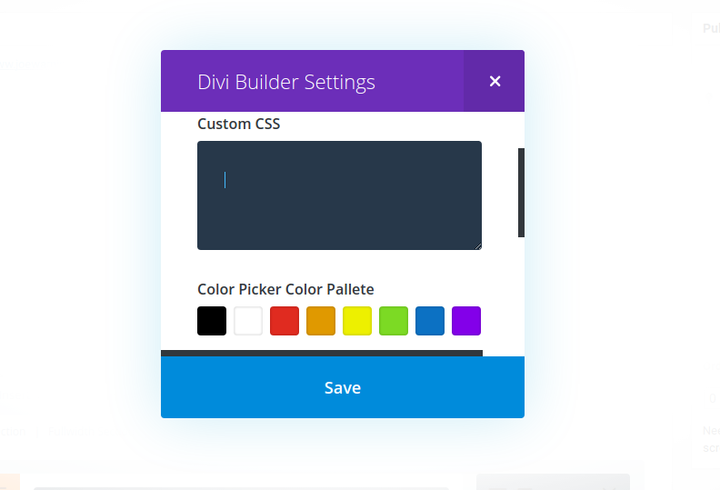 A beginner should be fine, but if you’re going to pay for a membership you might as well opt for the Divi Builder 3.0, which is only offered if you implement the Divi theme on your WordPress site. Don’t forget to use our ElegantThemes coupon to get 20% off. On the other hand, some of you might not be utilizing a theme from Elegant Themes. In this case, the Divi Builder plugin stands above all options. 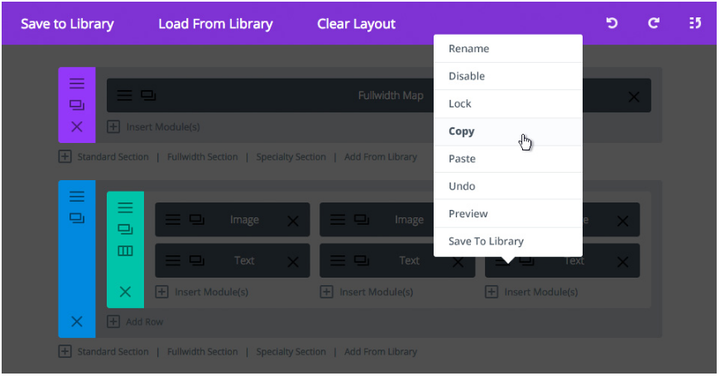 The Divi plugin integrates with all third-party themes, and the 46 content modules provide incredible building options compared to other drag and drop builders on the market. If you have any additional questions about this Divi Builder Plugin review, drop a line in the comments below. Also, feel free to share your thoughts if you’ve played around with it in the past.